Jetcraft’s recently released 10-year business aviation market forecast sees a sector set to enter a new business cycle – one that will be defined by large jets and big revenues. Chad Anderson, President of Jetcraft, takes a closer look at how this will impact the market, aircraft prices and the pre-owned segment. According to Jetcraft’s latest annual 10-year business aviation market forecast, our industry is at a new beginning point. After nearly a decade since the recession, business aviation has good reason to be optimistic as we’re now well-positioned for several years of steadier, healthier growth and expanding revenues. Let’s take a closer look at what’s driving this sentiment. Released earlier this month, our forecast predicts the global business aviation installed base, which currently hovers around 21,000 units, to surpass the 28,000 mark in 2026 (net retirements). Also within the forecast period, Jetcraft anticipates 8,349 deliveries, representing $252 billion in revenues (based on 2017 pricing). As customers continue to favor larger, long-range aircraft capable of supporting the needs of today’s global business environment, this new business cycle will be characterized by fewer deliveries but more revenue – significantly more revenue, peaking at $31.4 billion in 2025. In fact, based on our projections, although the large jet category will constitute only 31% of all units delivered, it will account for more than 63% of total revenue. The trend toward larger aircraft will also affect the average aircraft list price. Having increased by a healthy 56% over the last decade, the forecast sees this number growing an additional 16% by 2026. 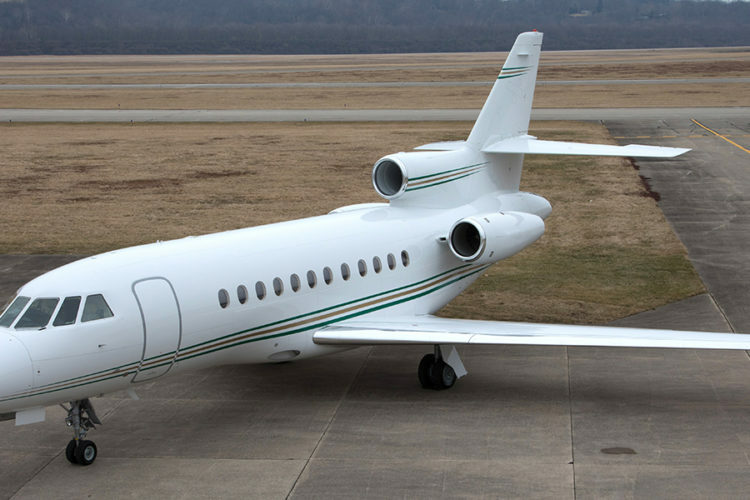 This increase will be primarily driven by the fact that 98% of the forecasted revenues generated from new programs will come from widebody models like the Textron Hemisphere, Bombardier Global 7000, Dassault Falcon 8X, and Gulfstream 500 and 600. Rising average list price notwithstanding, the pre-owned market overall is enjoying a period of positive momentum. Not only are inventories back to pre-recession levels, we’re seeing a unique trend where absorption rates for pre-owned aircraft are set to improve over the next ten years. The market is back to a point where any aircraft that is well priced, marketed and positioned will have more than one buyer. The depreciation rate of residual values will continue to experience downward pressure well into the front end of the ten-year forecast period, at which time most of the late model widebody non-warranty inventory will be cleared. Once the predicted new models are put into service, however, our data shows the depreciation rate of residual values absolutely improving. Buyers should always use caution when attempting to predict residual values in this type of market. We frequently remind buyers that depreciation is natural and should be planned for. While there are no guarantees in any market, it’s safe to say that after years of less certainty, at least as of right now, market activity is predictable. I can say with confidence that the industry is now exiting the toughest market we’ve ever navigated through – but navigate we did. As we stand at this new beginning point, our industry is now stronger and healthier than ever. Although business aviation may never return to pre-2008 deliveries, it will definitely surpass pre-recession revenues – which sounds like good news to me. Download your free copy of the 2017 Jetcraft Market Forecast here.